Doesn’t that word just excite you? Think about it. Who doesn’t love the idea of waking early to exercise or of pushing away the plate before being full? What about those books you were going to take the time to read? What about not wasting so much time on Twitter, Facebook, or obscure Wikipedia entries. Self-discipline excites few. The idea of self-discipline excites most. I’ve written before that one of my goals is to read a biography of every President of the United States. So far I’ve gotten to know FDR, Washington, Lincoln, Grant, and Eisenhower. I’ve learned much about the nature of leadership by studying these men’s lives. 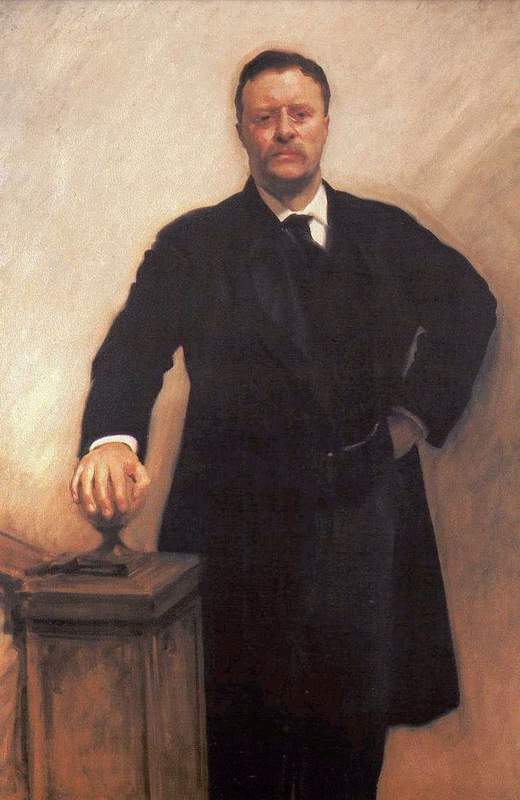 My latest subject of study is Theodore Roosevelt. The adult Teddy Roosevelt combined sound mind and body. His muscular physique and equally powerful intellect propelled him to the White House. The intellect, however, developed more easily than the physique. As a child, Roosevelt suffered from severe asthma. He often spent weeks in bed struggling to breathe. His father, the epitome of gentlemanly manliness, encouraged young Teddy to build up his body. The future president’s brain power was sufficient, his father explained, but Theodore would have to work on his muscle power. 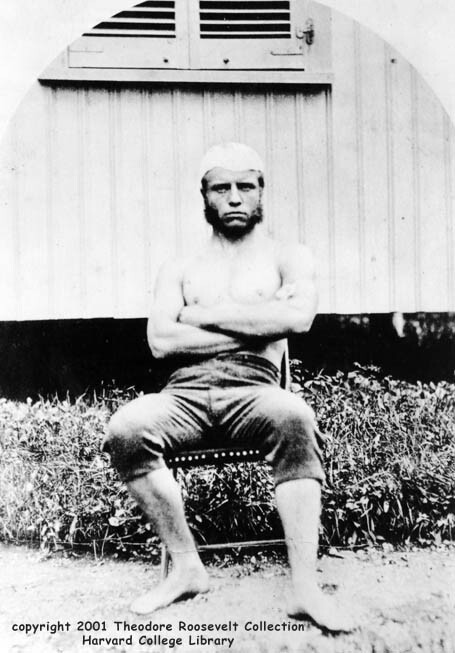 His father’s challenge spurred Roosevelt towards conquering his physical weakness. With an iron will, he endured recurring asthma attacks while developing energy and strength beyond his turn-of-the-twentieth-century colleagues. Roosevelt’s pursuit brings two ideas to my mind. First, very few of us take caring for our bodies seriously. Maintained physical fitness demands consistent devotion to exercise and wise eating choices. Unfortunately, there are many days when I just don’t have it in me. Second, and much more importantly, is the self-discipline of progressively growing in our relationship with Christ. The importance of our spiritual fitness far exceeds that of our physical fitness. Our bodies begin dying the day we are born. Our spirits live forever, either in Heaven or Hell. While I regret missing a day at the gym, I ought to miss even more my neglected time with God. The spiritual disciplines vary. Bible reading and study, prayer, Scripture memorization, worship, witnessing, and journaling are but a few of the activities that build us up. Like Roosevelt’s physical shortcomings, our spiritual asthma restricts our growth in Christ. In weightlifting, the term “progressive resistance” describes the method of slowly increasing the amount of weight being lifted. If a person can perform curls using a fifty pound barbell for twelve repetitions, then that person may increase their resistance to sixty pounds in the next workout. They may be able to perform only nine curls at first, but over time they’ll be back at twelve. In the Christian life, the term “progressive sanctification” describes our gradual growth in Christ. Spiritual disciplines build us up for Christ. As we pray and spend time in God’s Word, He reveals His nature and will. He builds our faith as we seek Him with our hearts and minds. He slowly grows us into His image as He prepares us for the return of Christ. So, where is good place to begin? First, I’d suggest reading through the Bible. If you read one New Testament chapter and two Old Testament chapters each day, in nine months you will have read the entire New Testament and in eighteen months you will have read the entire Old Testament. Second, pray daily. I follow the ACTS acrostic: Adoration, Confession, Thanksgiving, and Supplication. Adoration means to worship God in prayer. We confess our sins so they do not inhibit our relationship with God. Thanking God for His blessing in our lives shows that we understand that our wellbeing comes from Him. Supplication, a fancy word for praying for our needs, allows us to spend time talking to God about the specifics of our lives and the lives of those we care about. Many other spiritual disciplines exist, but nothing substitutes for prayer and Bible reading. As we discipline ourselves in these activities, God builds us into stronger believers. We all should exercise and eat properly. No one will argue with the benefit of a healthy lifestyle. But, even the healthiest people eventually die. We should rather put first our spiritual exercises. I’ve read all of Ayn Rand’s novels. Like many Rand readers, I discovered her work in college. I consider The Fountainhead to be her best work. It’s a much better novel than her final and more famous book, Atlas Shrugged. Below is a link to an analysis of Rand’s philosophy, as presented in Atlas Shrugged, by David Brin, a libertarian science fiction writer. He wrote the novel The Postman, which Kevin Costner adapted into a film. I recommend the novel (the movie was just okay). If you’ve read Rand, I think you’ll enjoy Brin’s insights.